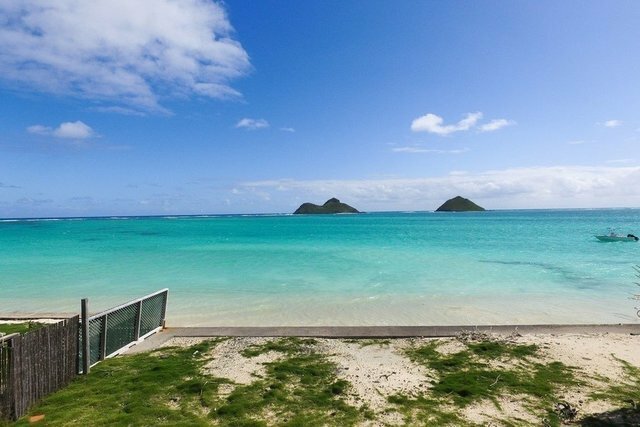 Build the home you've always wanted directly facing the iconic Mokulua Islands. Live life Lanikai style, with sunrises, moonrises and world class water fun at your doorstep. Feeling active? Swim, SUP, surf or paddle, keeping an eye out for seals, whales, or turtles. Feeling lazy? Relax as you enjoy the ever changing turquoise waters and surf along the reef. Golf, social, and fitness on the Loop at nearby Mid Pacific Country Club. Permitted seawall, flood zones AE and X.